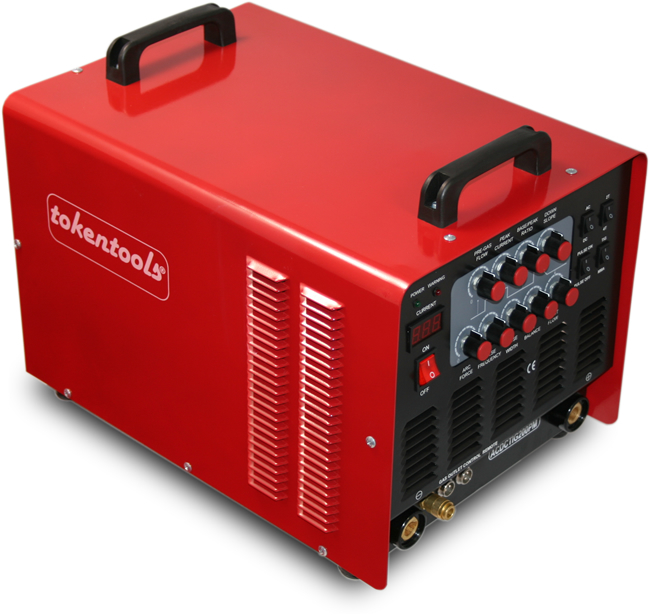 Due to the demand from our cost conscious customers, Tokentools have reintroduced the price crushing ACDC200PM welder. This inverter Tig welding machine has all the features of those other similar looking machines but ships at a much lower price, inclusive of GST and delivery to your door for $1299. Featuring an AC/DC welding current you are able to weld all metals. Pulse welding is built in so thin materials are easily fused even by a novice operator. The package includes a WP26 Tig torch, twist lock stick holder, earth clamp, gas line. All cable sheaths are made of fire retardent canvas and with a 5 year warranty, what more could you ask for?